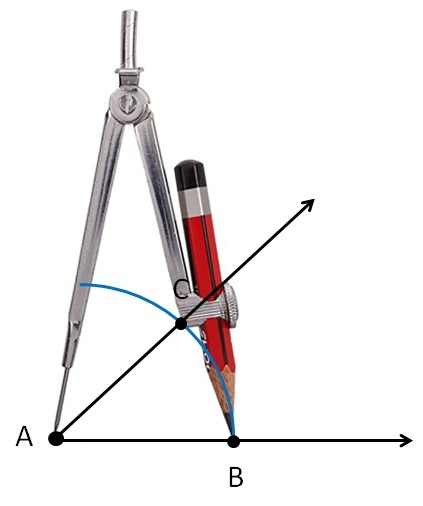 Now, back to our angle A. 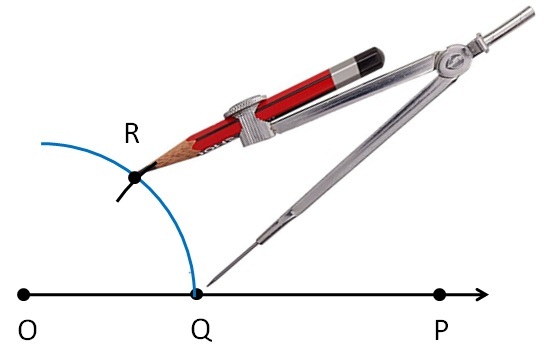 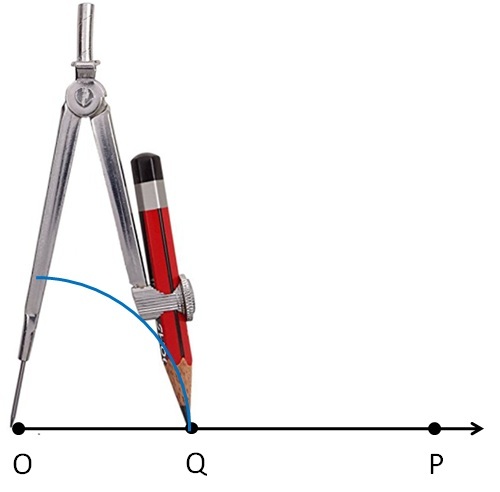 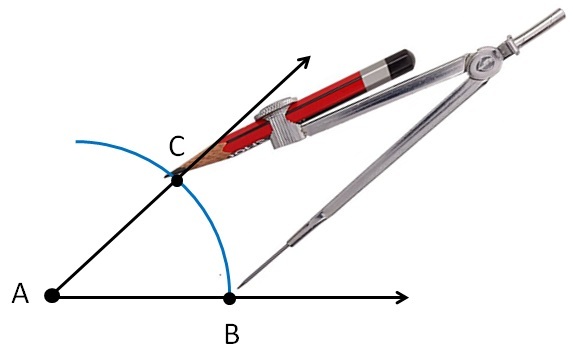 Put pointed end of compass on point Q, and draw an arc. 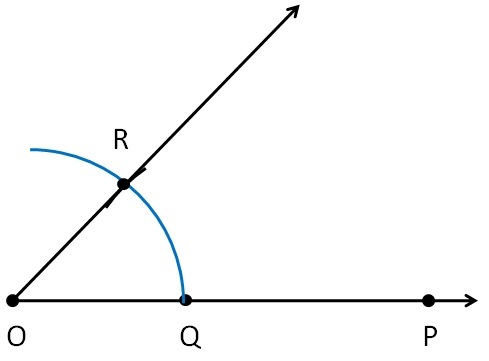 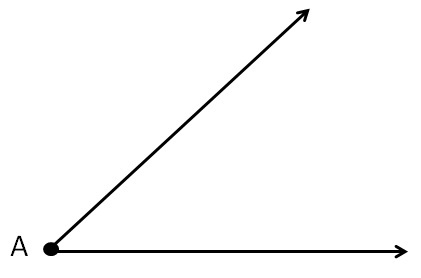 The point where it cuts previous arc is point R.